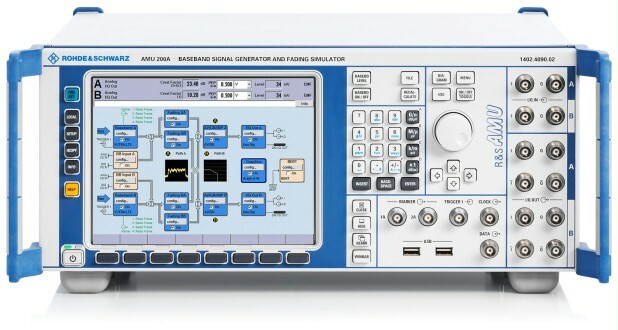 The R&S®AMU200A baseband signal generator and fading simulator has been designed to meet all requirements encountered in the research and development of modern communications systems as well as in their production. 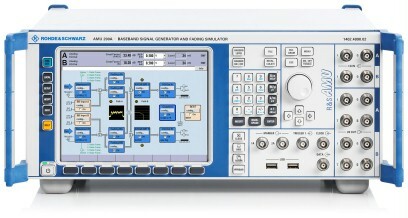 The R&S®AMU200A baseband signal generator and fading simulator has been designed to meet all requirements encountered in the research and development of modern communications systems as well as in their production. The R&S®AMU200A not only combines up to two independent baseband signal generators in one cabinet of only four height units, but also offers unrivaled channel simulation capabilities. Due to its modular design, the generator can be optimally adapted to the requirements of different applications. Due to its modular design, the R&S®AMU200A can be optimally adapted to the requirements of different applications. Up to two generators can be installed. They generate complex signals in realtime and are equipped with an arbitrary waveform generator with 16 Msample, 64 Msample, or 128 Msample memory for I and Q and four marker bits per sample. The signals generated in the different basebands can be added, even with frequency, phase, and level offset. The modern, intuitive concept of the R&S®AMU200A ensures fast and easy operation. The R&S®AMU200A can be fitted with a wide range of options – for example, options for all of today's important digital standards as well as function and performance enhancements such as MIMO fading. For a list of all available options as well as links to detailed information about the individual options, see "options" page. With its two independent baseband generators and the capability to simulate up to four fading channels, the R&S®AMU200A can handle enhanced MIMO testing. A 2x2 MIMO fading test can be performed easily with just one instrument. 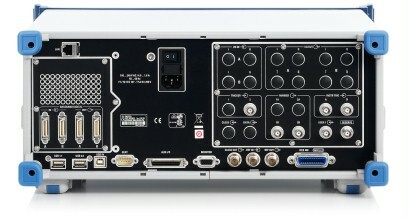 By combination of multiple instruments all other MIMO modes such as 1×3, 1×4, 2×3, 3×1, 4×1, 3×2 as well as 4×2 can also be set up. The R&S®AMU200A is suitable for baseband measurements on MIMO systems under any of these scenarios.